Assemble at T2 terminal to depart and board your flight for Cairo. Breakfast Boxes will be served at the airport compliments only of TravelTies. This evening, we take you to see the great Pyramids and the Sphinx magically lit with laser lights in an awe inspiring ‘Sound and Light’ show. Watch the Sphinx and the Pyramids come alive to tell their story in their own words. Enjoy Indian dinner in hotel and spend overnight at the hotel. Transfer back to Hotel to enjoy Pure Vegetarian Indian Lunch. Then after Lunch enjoy an excursion to visit the famous Egyptian Museum, colourful insight into the five thousand years history of Egypt’s fascinating land and Treasures room for the child king Tutankhamen, alongside many other fascinating artefacts. Additional visit to the mummy’s room at the museum (Optional with extra fees). We transfer to Giza train station for departure to Aswan by First Class Sleeper Train. Pure Vegetarian Dinner on board of the Train and Overnight in Train. Breakfast on board on your train, arrive Aswan train station. Enjoy an excursion to Visit the High Dam, Unfinished Obelisk and Temple of Philae, transfer back to Hotel Basma Aswan for check in. Free afternoon to enjoy open air market. Enjoy Indian dinner cooked by chef and spend overnight at the Cruise. Pure Vegetarian Lunch will be served on board then relax after a long day tour. After breakfast in cruise today, we take you to Temple of Sobek, the crocodile god and and visit the temple of Komombo, flacon headed sky god of ancient Egypt. 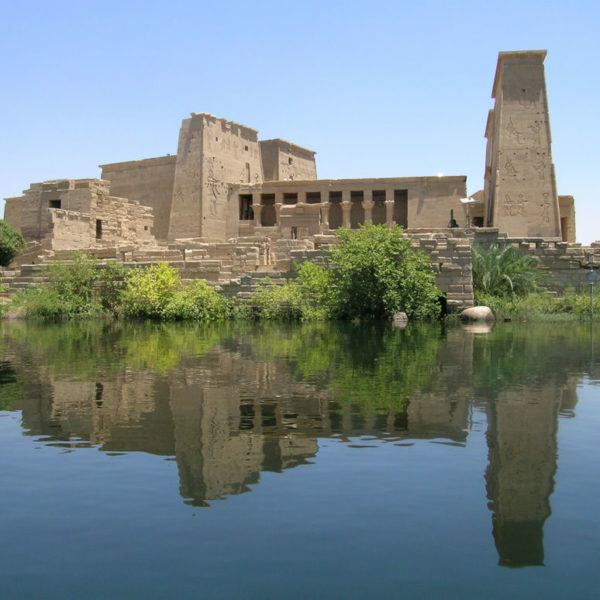 Enjoy an excursion to Edfu Temple, Ptolemaic Temple of Horus. Continue Sailing to Isna Lock. Lunch & Dinner will be served in the cruise by our own chef. After breakfast at Cruise, check-out & proceed to explore the West Bank of Luxor in a Hot Air Balloon. We proceed deep into the desert to discover the Valley of Kings. This is the place where generations of pharaohs and nobles were buried in great splendour, housed in crypts cut into the cliffs. Later we visit the gigantic Temple of Queen Hatshepsut, the only woman Pharaoh to have ruled Egypt. On our return, we take a photo-stop at the Colossi of Memnon. These two giant statues are all that remain of the mortuary temple of Amenophis III. After breakfast at cruise, we then tour the East Bank of Luxor where we visit the famous Temple of Luxor and Karnak. The majestic avenue of ram-headed sphinxes, the colossal statue of Pinudjem and the sight of its Sacred Lake will leave you awe-struck. After Lunch transfer back by A/C Modern Bus to Hurghada city. Hurghada is the foremost tourist resort on the Red Sea coast and an international centre for aquatic sports like windsurfing, sailing, deep-sea fishing, swimming, and above all, snorkelling and diving. The unique underwater gardens offshore are some of the finest in the world, justifiably famous amongst divers. The warm waters here are ideal for many varieties of rare fish and coral reefs, which may also be observed through glass bottom boats. After breakfast at hotel, enjoy your stay at your hotel and the beauty of the Red Sea. Enjoy Indian dinner and spend overnight at the Hotel. After breakfast at hotel, proceed for Cairo. 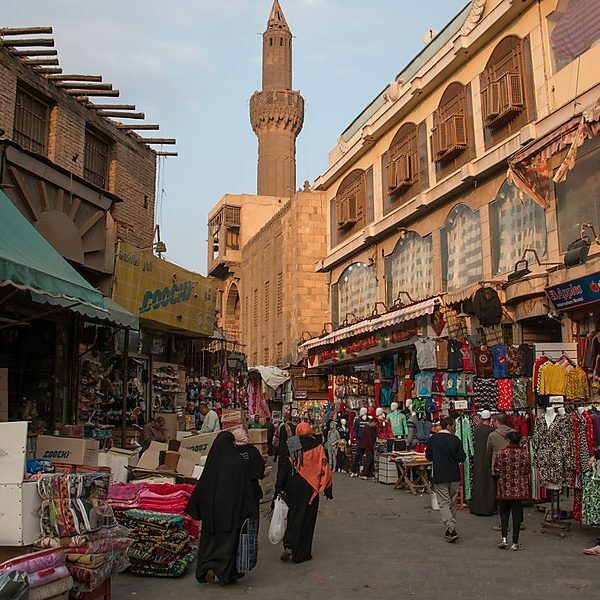 Post Lunch explore the most visited market in Cairo, the Khan-e-Khalili Bazaar, this busy and colourful open-air bazaar is filled with unique and exotic items from spices and perfumes to jewellery and souvenirs. . Upon arrival in Alexandria the beautiful beach city of Egypt with modern architecture, we proceed to visit to Catacomb, The Roman Amphitheatre and the Montanzah Park and Palace. Enjoy lunch in an Indian Restaurant. Later we proceed to return to Cairo. After breakfast at hotel, proceed for Cairo International Airport check in for your flight boarding to Mumbai VIA your selected Airlines. Return home with Sweet Memories of your trip with your friends and family. Tour Ends. Maximum sightseeing covered with minimum travelling time in our luxurious coaches. All Tipping to Guide, Driver, Bellmen and Tour Leader / Tour Chef any type of tipping. Hot Air Balloon Ride included in the package. Pure Veg Food Only / Jain Food Available. Experienced tour leader with English speaking Local guide and manage your journey abroad and make you have fun along with a memorable trip with Travelties. 24hrs help / local service available as well. Travel Hamper with Passport Cover, Passport Pouch, Luggage Tags, Complimentary Cabin Baggage and Snack Packets along with Tea / Coffee throughout the tour. Travel feeds the soul. It grows you by taking a dear place in your heart with the memories it brings you. 101, Akruti Aditya Towers, Noshir Bharucha Marg, Grant Road (W) Mumbai-400007. © Copyright Travelties 2018. All Rights Reserved Powered By Bombay Blokes Digital Solutions.